The Caribbean island of Barbados has elected its first woman prime minister since gaining independence from Britain in 1966. Mia Mottley led her Barbados Labour Party (BLP) to a crushing victory over the Democratic Labour Party (DLP). Ms Mottley, a 52-year-old lawyer, is reported to have once told a teacher at her secondary school that she would become the country’s first female PM. The BLP won all 30 seats up for grabs in the House of Assembly. The DLP has governed the popular tourist paradise for the past 10 years, most recently under Prime Minister Freundel Stuart. How did Barbados change after the British left? Ms Mottley faced a barrage of personal and political attacks from the DLP during the election campaign, but also picked up an apparent endorsement from Barbadian pop star Rihanna. Speaking shortly after it became apparent that the BLP would form the next government, Ms Mottley told cheering supporters: "This is not my victory. This is not the Labour Party's victory. This is the people of Barbados's victory,"
Mr Stuart, her defeated opponent, said he "unhesitatingly and unequivocally and frankly" accepted responsibility for the DLP's wipeout. 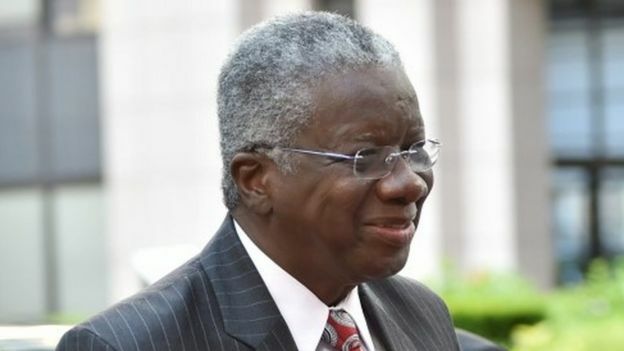 He added that the election "demonstrates that Barbados's democracy is alive and well". Ms Mottley's new administration - like its predecessor, a broadly centre-left government - faces a host of problems in a country once seen as a byword for good governance in the Caribbean. Despite the island's enduring popularity with tourists from Western Europe and North America, and growing arrivals from newer tourist markets like China and Russia, the Barbadian economy has failed to shrug off the effects of the global economic crisis of the late 2000s. Sluggish economic growth, high levels of government debt and shrinking foreign currency reserves have been compounded by the adverse publicity and cancelled bookings stemming from a collapsing sewage system. The system serves part of the country's South Coast, a key tourist area.